This is basically a SEEN AND HEARD round-up of new music, but it dawned on me that a big portion of what I’d chosen either fits under the big umbrella of death metal or draws strength from the worship of death, so I’ve gone with a post title I’ve occasionally used before. And I picked so many new songs of this nature that I had to break it up into two parts. The second one will be up tomorrow, because we’ve cut a pretty wide swath through your head with new music today already. 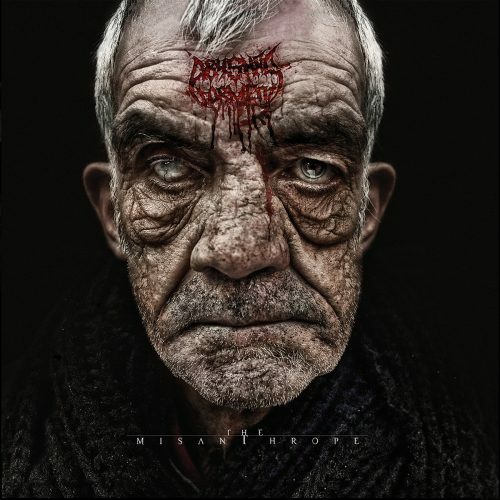 The cover art painted by Eliran Kantor for Krisiun’s new album, Scourge of the Enthroned, is so damned cool, and therefore it’s no surprise that Krisiun and Century Media chose a lyric video featuring the album art as a method for premiering the album’s first advance track, “Demonic III“. You might have caught this song when it was launched as an audio-only stream, but even if you did, it’s worth listening again with the visuals and the lyrics before you. Needless to say, because this is Krisiun, the song is a demonic rocket — bursts of hyper-accelerated rhythm work carve the pile-driving grooves; eruptions of equally accelerated fret-frenzy provide the boiling heat; and tirades of almost equally fast word-barking by the big rabid wolf-dog behind the mic underscore the music’s viciousness. The video was created by Miles Skarin. And now, to borrow from the song’s lyrics, get ready to “ride the colossal velocity”. A video for another new song, “Devouring Faith”, is supposed to be released this coming Friday, July 27th. I really didn’t start having squalid thoughts when I first listened to “Squalid Thoughts”. I was too busy trying to keep from swallowing my tongue due to the overwhelming trauma it inflicted. 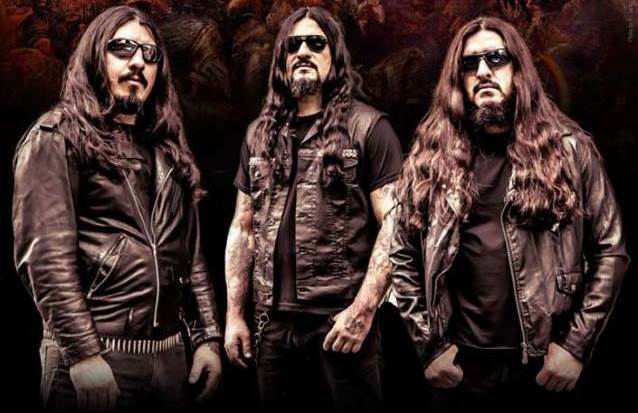 The jackhammering grooves in the song are ridiculously potent; the brain-drilling tremolo riffs and lunatic, shrieking leads are pure blood-lusting savagery; and the vocals are a barbaric match for the rampant, spasm-inducing mayhem of the music. The song is as fast as a cheetah, and the execution is technically impressive as well as lethal. As visceral assaults go, this is goddamned eviscerating. “Squalid Thought” is the first advance track off The Misanthrope, which is the Abysmal Torment album slated for release by Willowtip Records on September 21st. From this track alone, I effusively welcome the return of these Maltese marauders, a long four years after their last full-length onslaught. 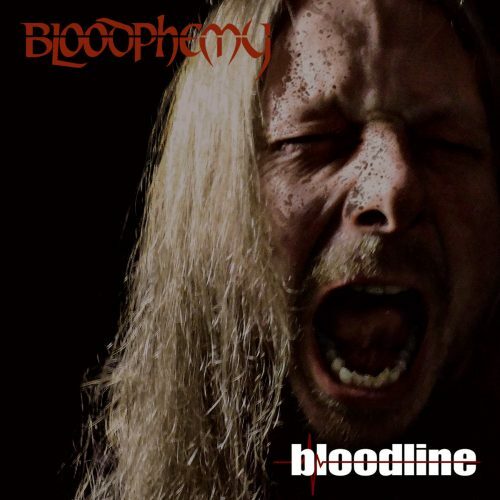 The Dutch death metal band Bloodphemy, whose members are current or former participants in such groups as Houwitzer, Pleurisy, Neocaesar, Khaoz, and Bodyfarm, released their debut album Bloodline in March of last year via Sleaszy Rider Records. I managed to overlook it, but it sounds well worth exploring based on the new video for an album track called “Annihilation” that debuted recently. The song and video (directed by Sebastiaan Spijker) are based on the life of Jed Allen, the so-called “Wolverine” killer who stabbed his mother, her partner, and their six-year-old daughter to death with a hunting knife three years ago in Oxfordshire, England, and then painted the words “I’m sorry” in blood on the wall. The song is as grim, as gruesome, and as harrowing as that horrifying real-life story. There’s a feeling of murderous delirium in the seething and swirling guitars, and an air of calamity in the cold, crushing rhythmic blows in the music, while the vocal combination of deep, horrid roars and scalding howls only underscores the inexplicable horror of the real-life events. To close Part 1 of this round-up I’m sharing a song called “To Scorch The Earth” by Burial Shrine from Vancouver, BC. It comes from their debut album, Labyrinth of Bridges, which is to be released on September 23rd by Saturnal Records. 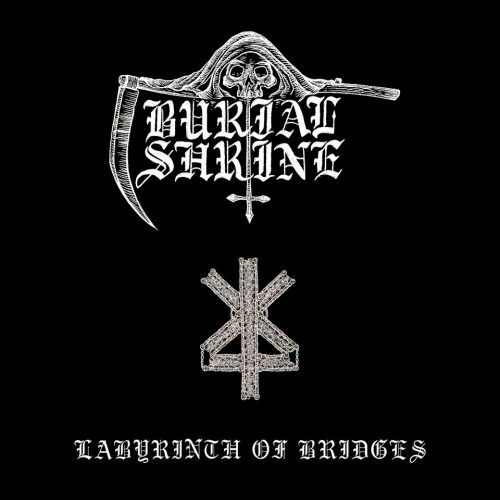 Most of the music in this two-part post consists of variants of death metal (some of the variants widely diverging), but Burial Shrine are a black metal band, albeit one whose music channels chaos in ways that bring ingredients of death metal into play as well. “To Scorch the Earth” really is a firestorm, burning with cyclonic gales of high-boil guitar and explosively unhinged vocals. The drumming is on fire, too, whipping back and forth between brutal blasts, martial machine-gun bursts, and rhythmic jackhammering in partnership with the bass. This is the kind of take-no=prisoners assault that gets all the nerves firing at once, and will give your neck a workout, too. 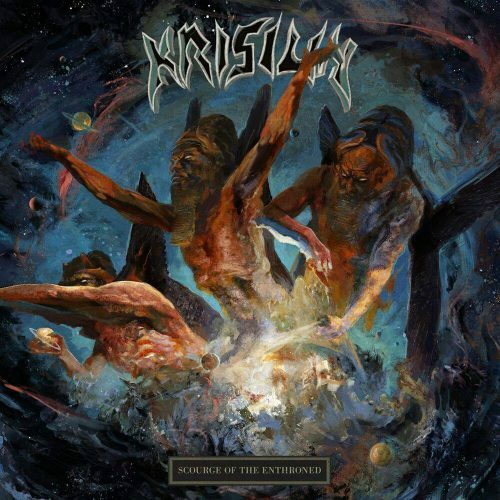 Besides Krisiun, their is some horrible, horrible artwork here. And not in a good way.